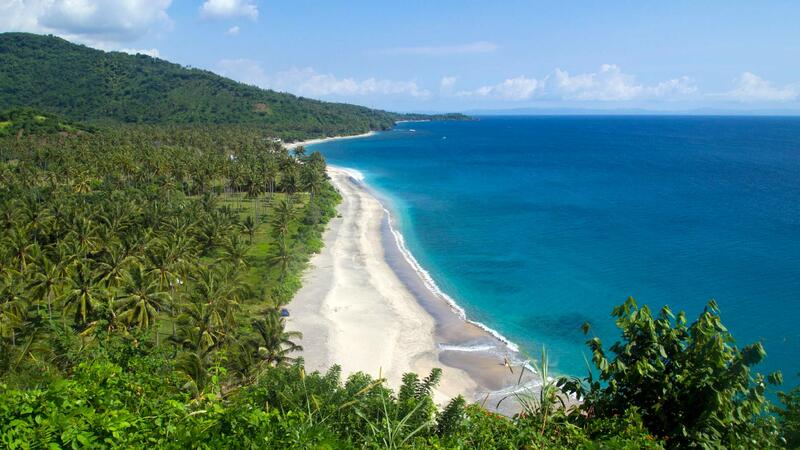 Lombok – an island east of Bali, but less famous than its neighbor. While every year millions of tourists are attracted to Bali, many places on Lombok are still untouched. Over here mass tourism is still unknown. Lombok offers many empty and often isolated dream beaches, friendly and interesting people, tasty food and fantastic nature. This year, after a stay of more than two months, Lombok and the Gili islands became my personal favorites – at least so far. 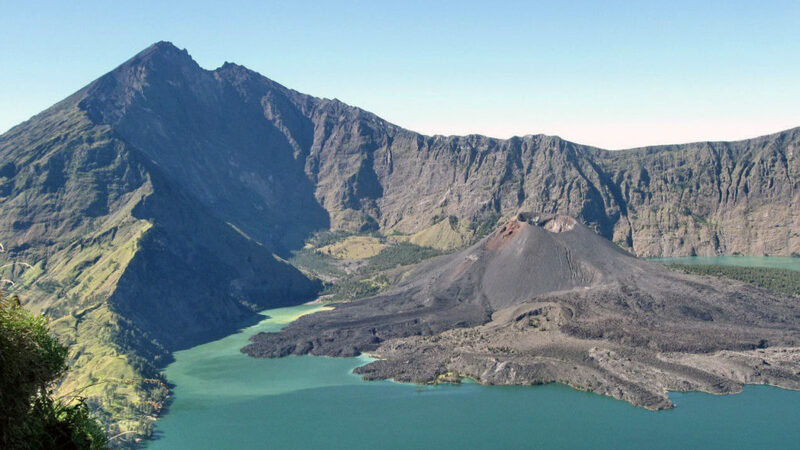 In this article you will find a few must-sees on Lombok. 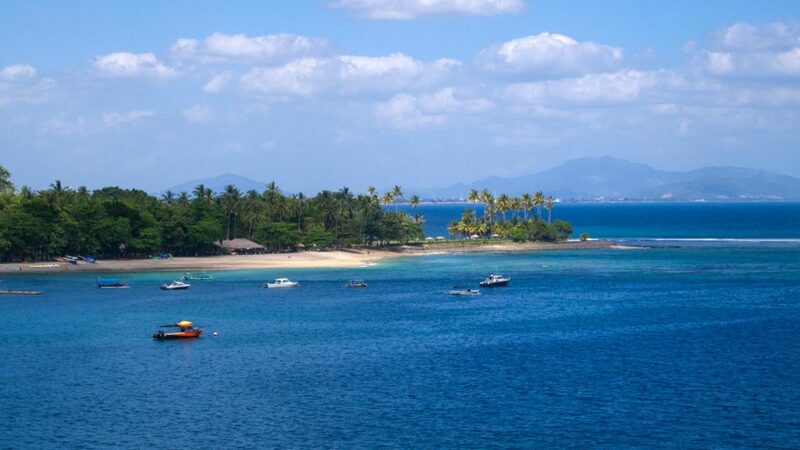 To get to Lombok there are only two options, the airplane and the boat. Flights operate from many cities in Indonesia to Lombok. But the international airport already welcomes flights from abroad, e.g. from Singapore or Kuala Lumpur. To find the best and cheapest flights for your trip to Lombok, check out Skyscanner. There you can compare prices, departure times, flight duration and the different airlines. You can take a boat to Lombok from e.g. Bali, the Gili Islands or Sumbawa. There is a difference between speed boats and local boats, because not only prices but the duration of travel can vary significantly. An overview of different boats can be found on 12go.asia. 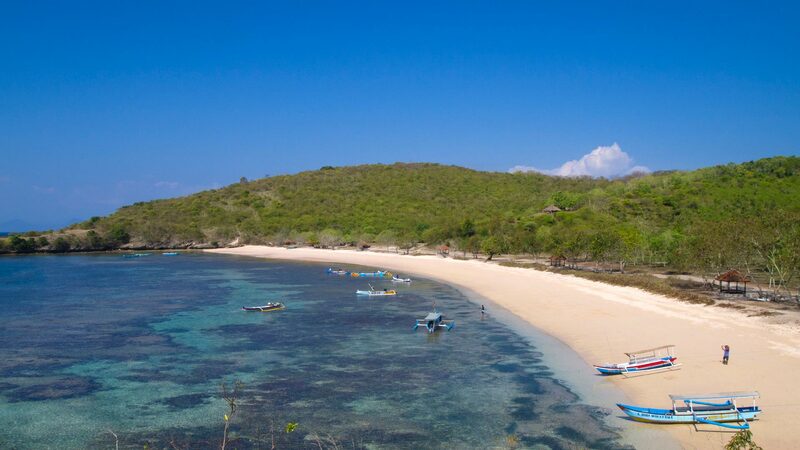 Lombok is a relatively large island and offers almost endless possibilities to stay. Whether in southern Kuta, in the capital Mataram or in the tourist center of Senggigi on the west coast – on Lombok you will find many accommodations in all price ranges. 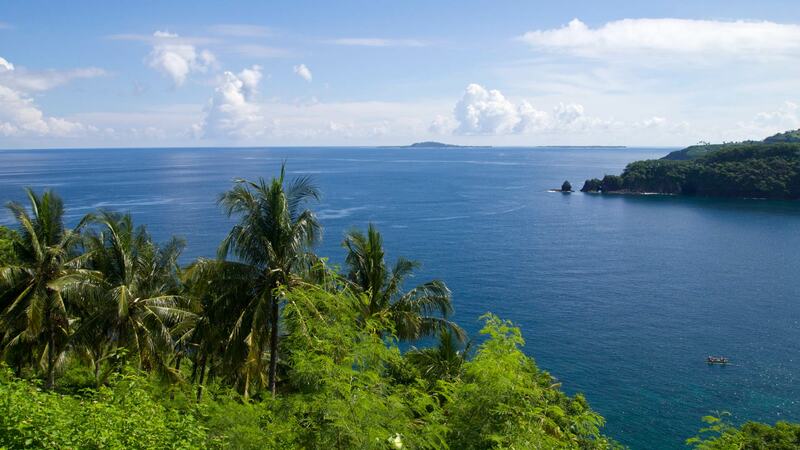 We personally recommend a stay in Senggigi and surroundings. 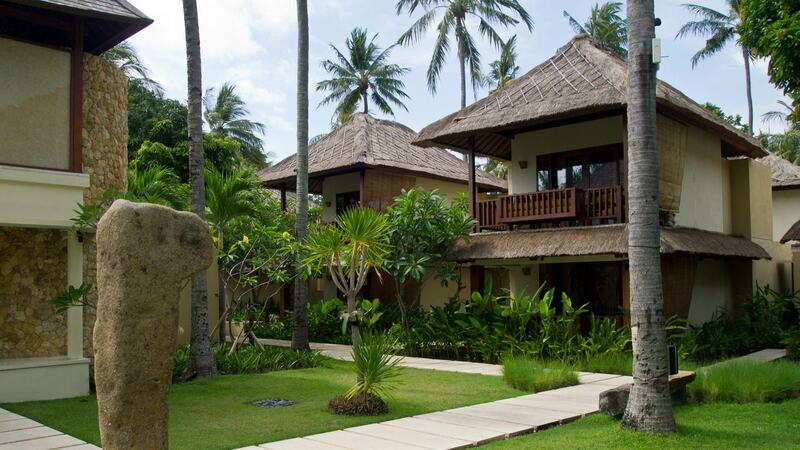 A great hotel is the Qunci Villas, which is located on a secluded, quiet beach. The center of Senggigi is only a short taxi or scooter ride away. But also near the Qunci Villas you will find some restaurants and shops. Of course, there are also a number of beautiful hotels and homestays in Kuta, which you can book here. 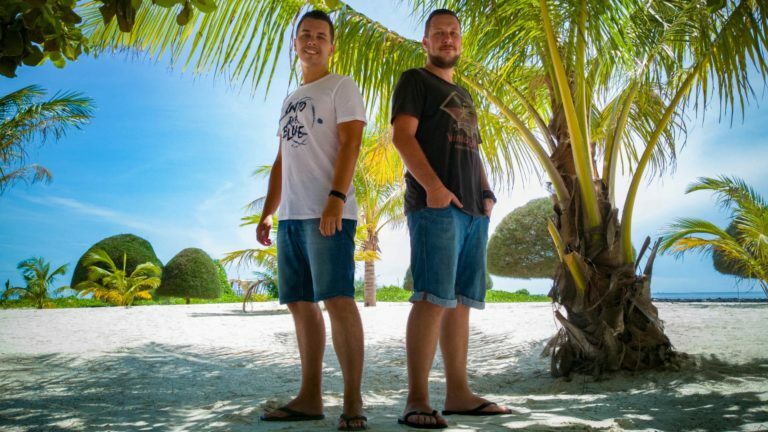 3 paradise islands – which seem tiny compared to Lombok – are located only 20 minutes away by boat: Gili Trawangan, the main island, Gili Meno and Gili Air. 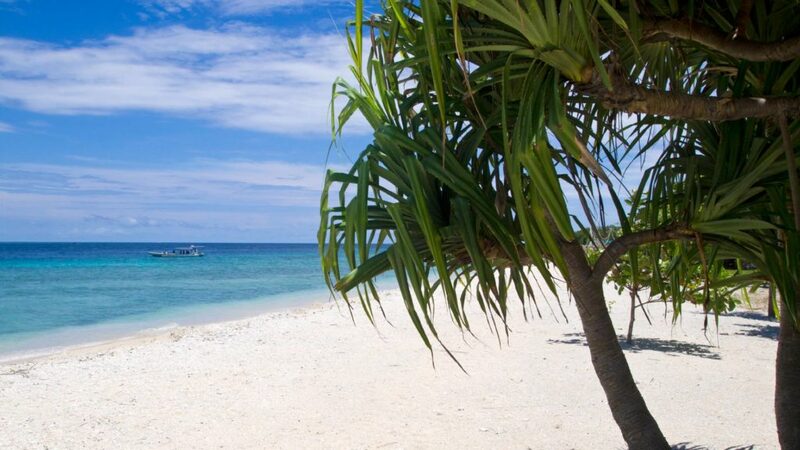 The Gilis are very popular for scuba diving and snorkeling but also for relaxing, swimming and partying. 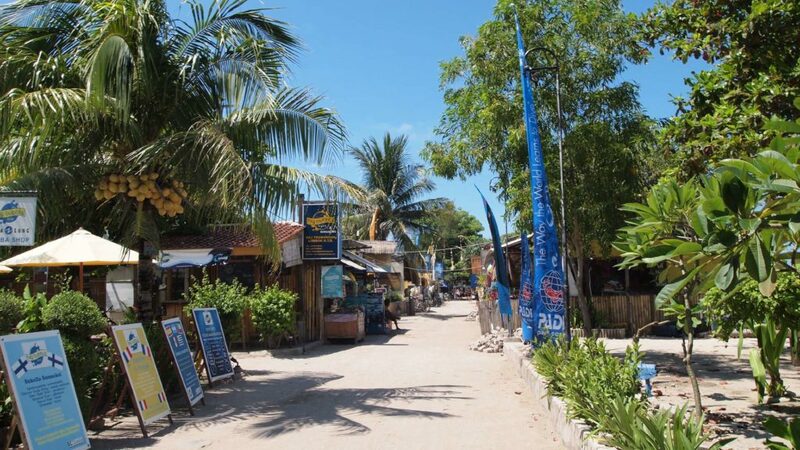 Backpackers and tourists visit especially Gili Trawangan often. Over here you can feel the lively reggae-ganja-magic-mushroom-vibe. 😉 The Gili islands are a MUST!!! You can also discover the colorful underwater world of the Gilis by snorkeling on a day trip from Lombok. With a little bit of luck, you can even spot turtles. Most tourists arrive in Senggigi because many hotels are located over here. It’s also great for going out at night or eating. 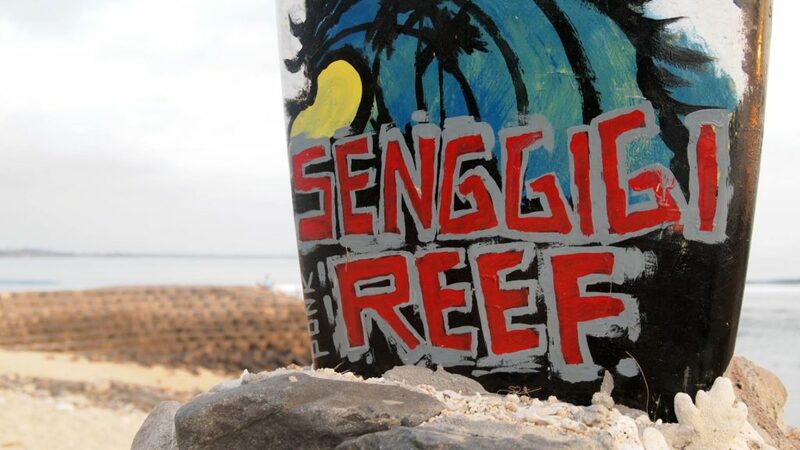 One of the most popular surf spots for locals and tourists alike is Senggigi Beach. At this beach the vendors and locals aren’t pushy at all but you can have a nice small talk if you like (mainly about football since Indonesians love football). To explore this road next to the coast it is best to use a scooter, which you can rent for example in Senggigi. One of the highlights is the viewpoint at Malimbu Hill 1 and 2. It offers a marvelous view over Malimbu and Nipah Beach and the 3 Gili Islands. Check out the other view points and beaches that you can find on this way as well since they are worth seeing, too. If you leave Lombok with the public boats to the Gili Islands and would take a taxi from the airport or from Lembar (where the public ferry from Bali arrives) you will probably use the very same road (or you tell the taxi driver your preferred route) since this road goes directly to Bangsal, where public boats are leaving. Taking a winding road through a breathtaking mountain landscape is the second option to get to Bangsal. It’s were you find the so-called monkey forest, named after the numerous wild monkeys in the jungle and near the street. Feed the hungry and annoying little bastards at the view points if you like. But be careful and look for your bags, backpacks and such. You can go there by scooter as well, but always “Hati Hati”, like the Indonesian says. 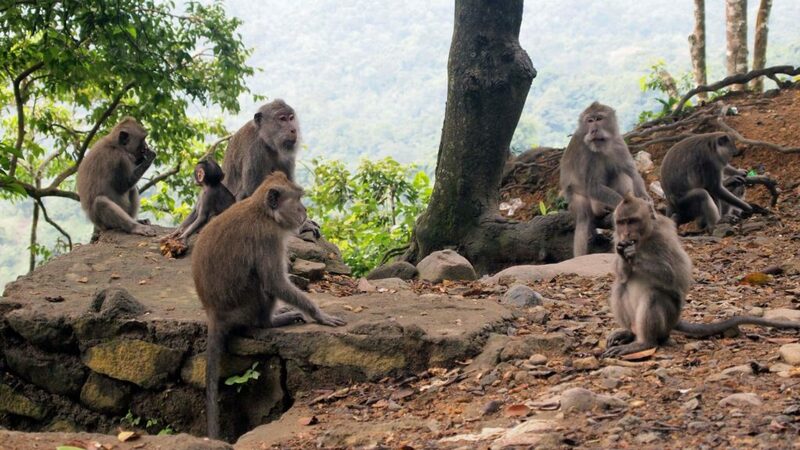 If you don’t want to explore Lombok on your own with a scooter, you can also visit the Malimbu Hill viewpoints and the Monkey Forest on a guided day tour. 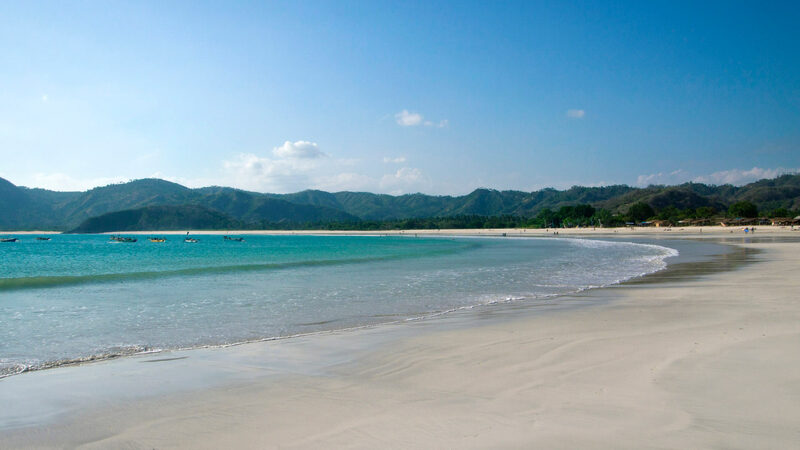 After Senggigi, Kuta is probably the second tourist hotspot on Lombok. It offers beautiful beaches as well and lots of accommodations and restaurants. From here you can explore the dream beaches of Mawun, Tanjung Aan and Selong Belanak since they are very close by (see below). Even Kuta Beach itself is worth a look. 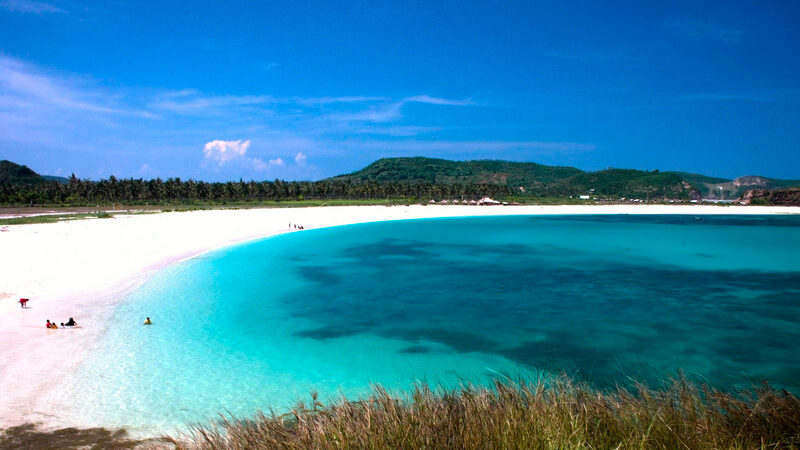 Now I will introduce you some of my favorite beaches of Lombok. One if them is Mawun. Depending on the weekday and the time of the day, this beach with its soft white sand and turquoise water is still mostly deserted. Sometimes the waves are heavier over here. The beach is secluded and located west of Kuta in an almost enclosed bay, which you can easily reach with your scooter as well. I believe I rarely saw such a wide and shallow beach like Selong Belanak somewhere else. 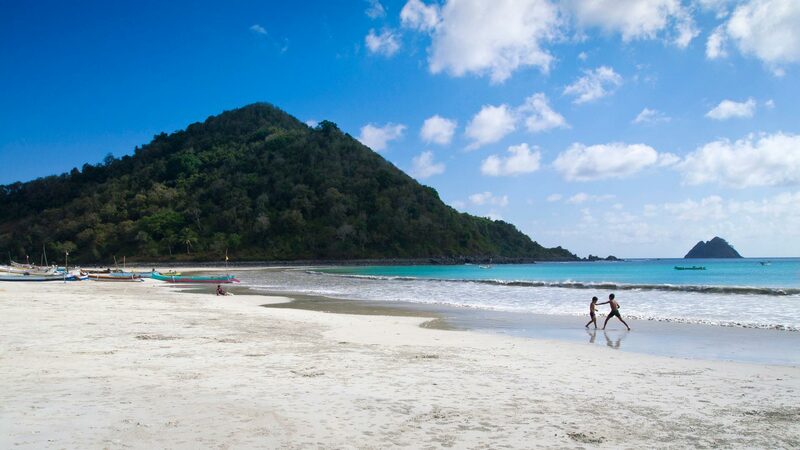 You can perfectly surf or swim at this long beach. I strongly recommend taking a look at the near viewpoint overlooking the beach and the bay. It’s located a bit north of Selong Belanak Beach. It’s still an insiders’ tip and you shouldn’t miss it when you do a scooter tour. Turquoise sea and white sand, the way I love it! Even here you can climb a rock to enjoy a breathtaking view over the two bays and beaches of Aan. A must-see! It’s not really an insiders’ tip anymore, but still worth a visit! The drive is quite difficult since in my opinion the streets on the Ekas Peninsula (where the Pink Beach is located) cannot be called streets anymore. At least they are being improved bit by bit every year. If you actually make it there, you will be rewarded with a desolate quiet beach. It is called after its pink sand that consists out of coral. The view from the near viewpoint is marvelous as well and the also worth seeing cliffs of Tanjung Ringgit are situated close by. In contrast to Bali, Lombok and the rest of Indonesia are mainly Muslim. That is why you can see and especially hear mosques everywhere. If you book your accommodation in advance, you should inform yourself if it’s closely located to a mosque. Especially around Ramadan it could become very noisy. The Balinese minority on Lombok got its temples like Pura Meru, Pura Lingsar, Pura Narmada or Pura Batu Bolong as well. 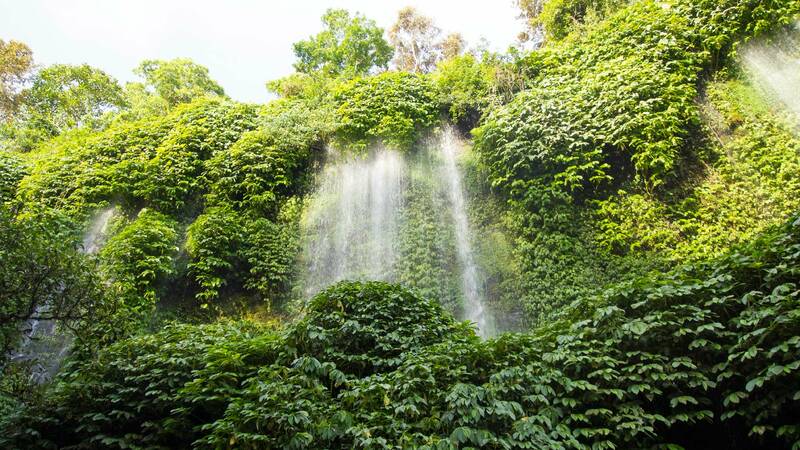 2 true insiders’ tips are Pura Gunung Sari north of Mataram and Pura Suranadi. Most of them are located at the western part of the island in and around Mataram/Cakranegara or Senggigi. Lombok got numerous waterfalls, mostly in the northern part of the island. Among others, there would be Tiu Teja, Tiu Kelep or Sendang Gile. In the center of Lombok you will find a few decent ones as well, for example the Benang Kelambu, Benang Stokel or Jeruk Manis near Tetebatu. There is no fresher water than this! Drink it, swim or just let the ice cold water hail down your back – superb! 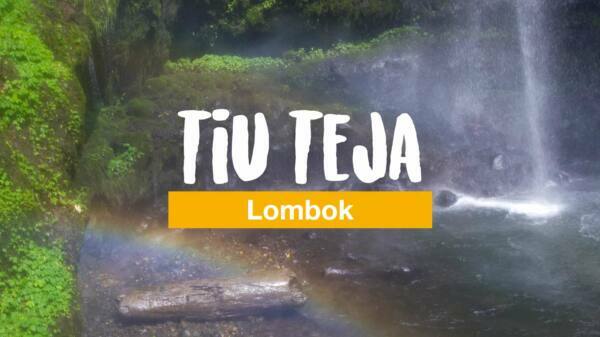 The visit of the Tiu Kelep and Sendang Gile waterfalls are great to combine, even with an organized tour. The Sasak are the indigenous people of this island, which today make about 85% of the total population of Lombok. Their culture is fascinating and as a visitor you definitely need to experience it. 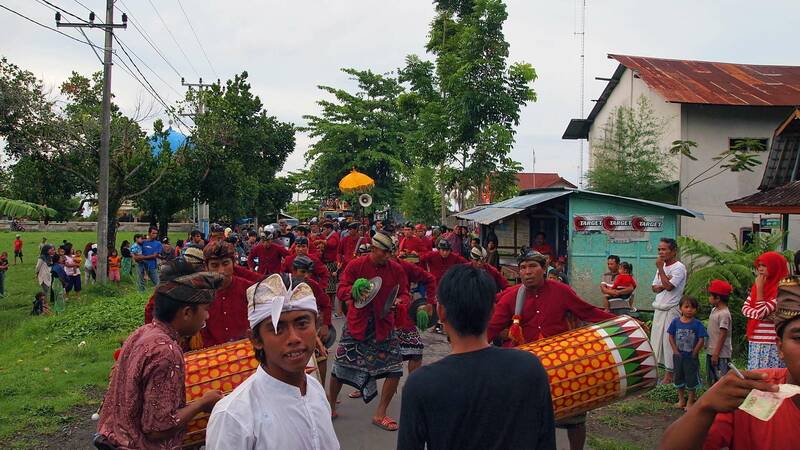 Their food known for its spiciness, their handicraft, their music and dances, the typical Sasak houses or a Sasak wedding with (extreme loud) street parade with “Gendang Beleq” musicians you need to experience. 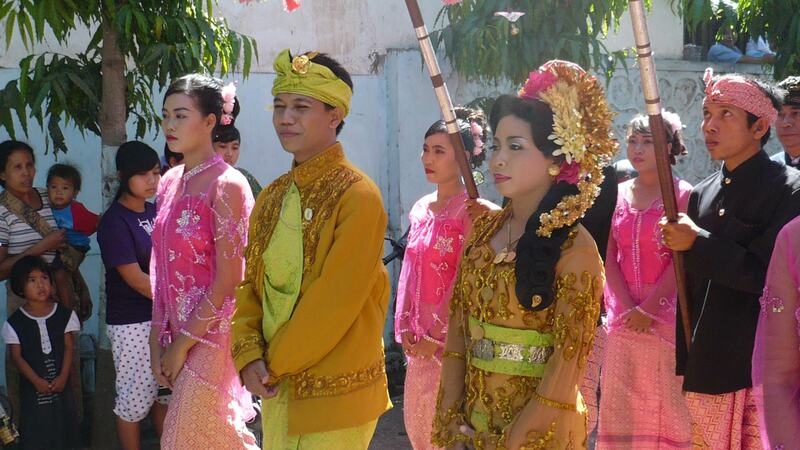 There are plenty wedding parades on Lombok, especially on the weekends. Must-see! By the way, many of the Lombok natives still speak the Sasak language, especially the older. But everyone speaks and understands the official language Bahasa Indonesia. 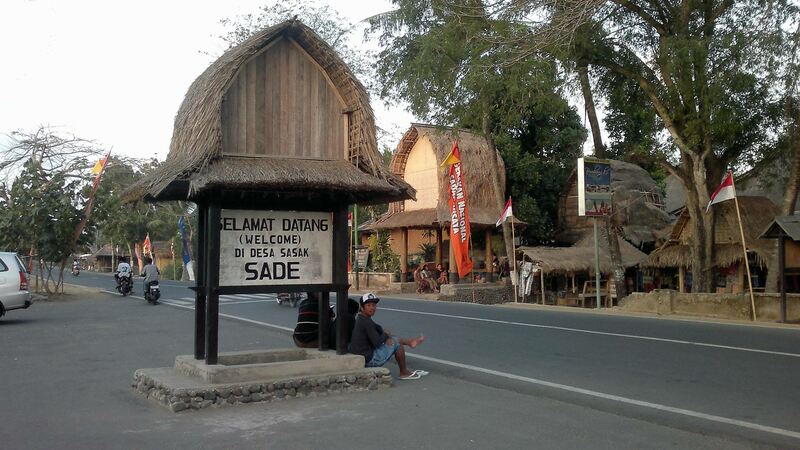 English only helps in tourist spots, which makes a guided tour a great option to get to know the Sasak culture. The markets are typical Asian with fresh veggies, spices, fish and so much more. I recommend the traditional market in Ampenan. Every now and then locals look in astonishment at a “Bule” (westerner) since they don’t come often over here. 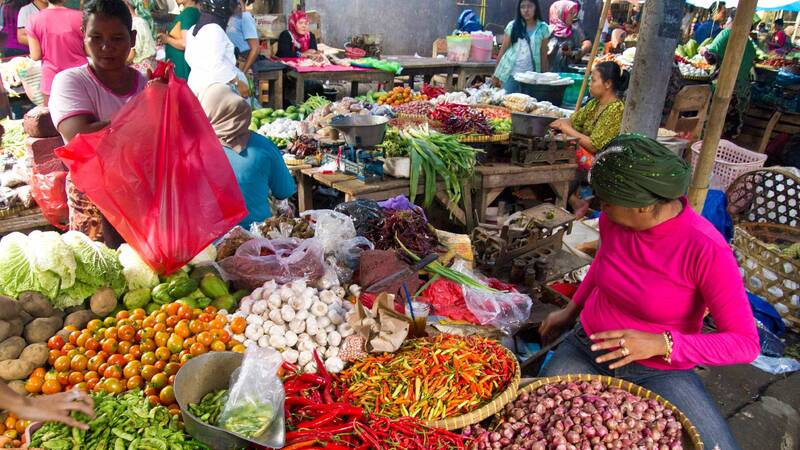 There is no cheaper or fresher place to do food shopping even though as a “Bule” you should consider paying more than a local. It is of advantage to speak a little Indonesian. For stuff like clothes, jewelry or other souvenirs you should visit the Cakranegara Market (Pasar Cakranegara) in Mataram. 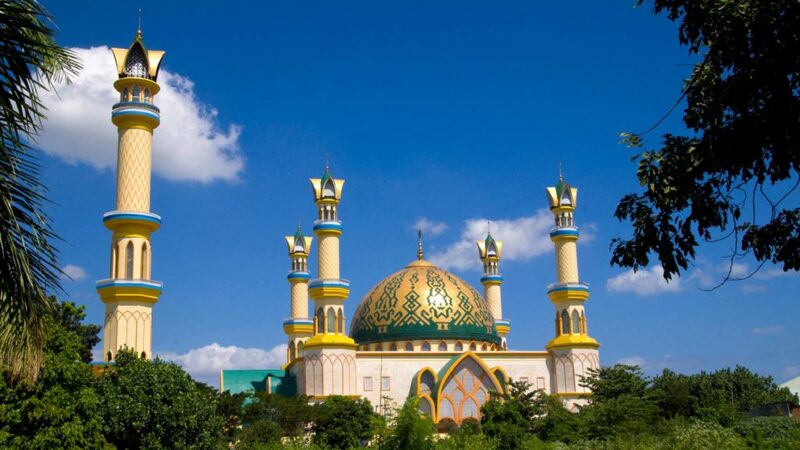 Counting around 420.000 inhabitants, Mataram is the capital of Lombok and the province Nusa Tenggara Barat. 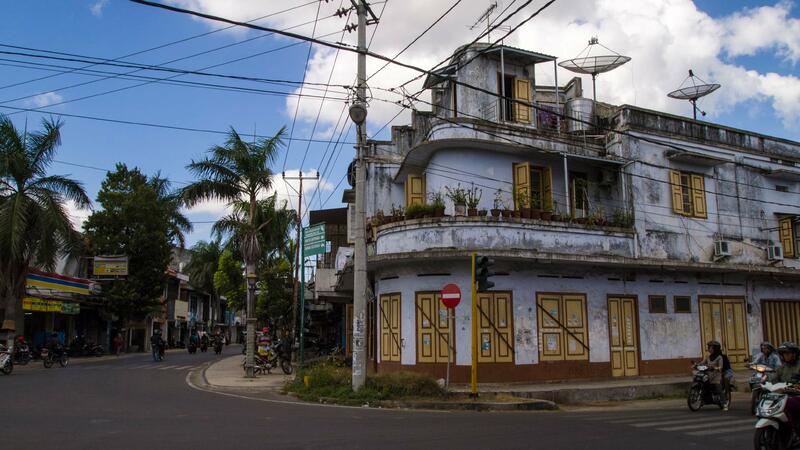 Close by you find places like Ampenan where you can still find some old Dutch colonial style buildings. 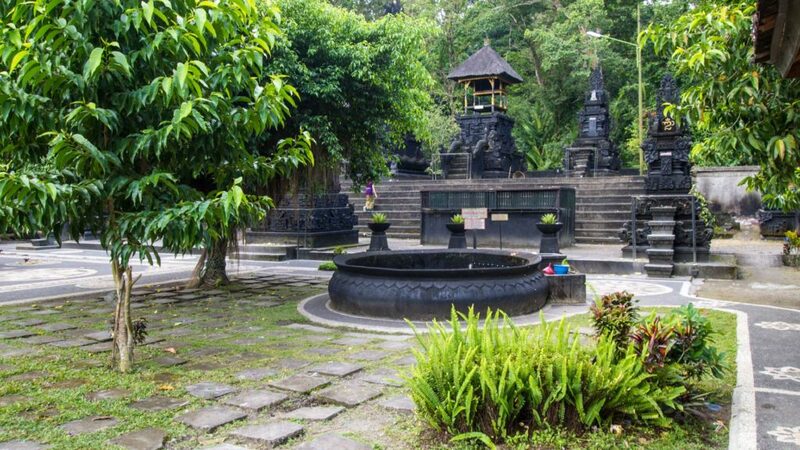 In the district Cakranegara (short: “Cakra”) are a few lovely Balinese temples and the Mataram Mall with its numerous shops, supermarkets, bars and restaurants as well as fast food chains on different levels. Even bigger and more modern is the recently built Lombok Epicentrum mall at the main street Sriwijaya. 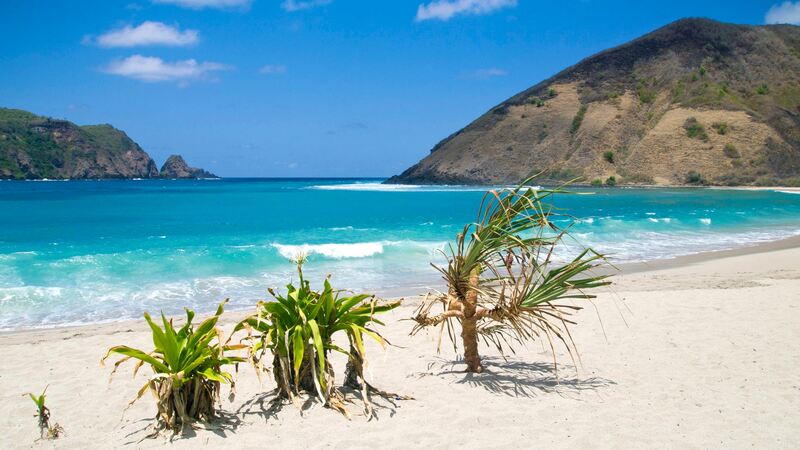 Have you already been to Lombok? Which sight or beach did you like most? Do you even have more tips? Let us know straightaway! Photo 1 Tanjung Aan: Dhanny Surya – Terima kasih! Malaria on Lombok – why the panic? Hi, I'm Marcel! Blogger, author, web & graphic designer and digital nomad. I love traveling in Southeast Asia and exploring wonderful beaches and trying delicious food. My home base is Koh Phangan, Thailand. Follow me on Facebook, Twitter, Instagram or Steemit. 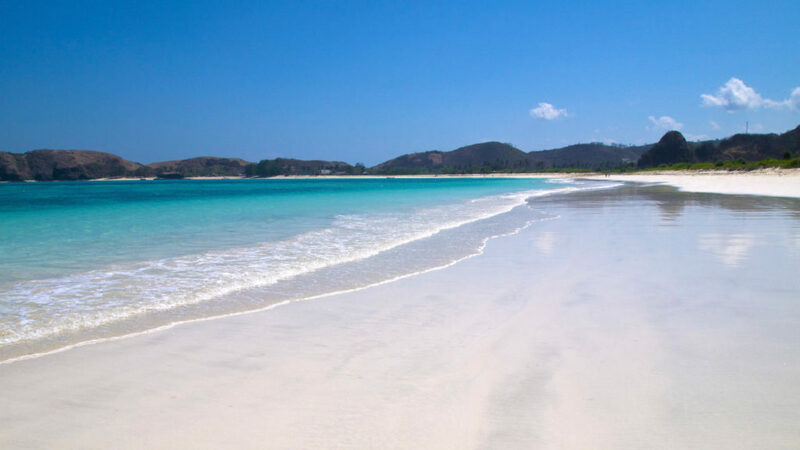 In December I have a plan for a trip to Lombok with my family (3 little children), what do you recommend, where to stay with family, what to see …..and is it safe for Children?? Yes, Lombok is definitely safe for families with children. What to see you can find in this very article (also read this post or check our Lombok category). Where to stay is not so easy to say, as there are many beautiful places for families. North of Senggigi there are some quiet places, but also outside of Kuta you can find tranquility. It also depends on what you actually want to see or do. We arrived in Sengigi on 6th March 2019 planned on staying 3 nights however we like it so much we opted to extend our stay for an extra 2 nights. We are staying at the lovely Jeeva Villas in Sengigi. Just be aware that when you arrive at Bangsal Harbour, (the main arrivals and departure port) there can be some shady characters who want to charge you 400,000rp to Sengigi. It should only be about 100,000rp to 150,000rp for the car not per person. Look for a small white building at the end of the wharf past where all the cars are parked. Also a gentle reminder to women that Lombok is not like Bali. Remember that you are in a country that is 85% Muslim and that your Bali attire might not be ideal in certain areas like Mataram. Just cover your shoulders and chest and you should be fine. Thanks for your comment and the advice! I think it will be helpful for some other travelers. what hotels if any would avoid the 4:30 am wake up prayer.. any tips? Great guide! Currently trying to plan where to go in Lombok, and it’s great this covers more than the Gili islands! Hi Marcel, it’s great reading your comments. I’m planning to go to gili air from Singapore, and my wife is planning to join from Jakarta. We will have about 3 days. How do you suggest we do it? Do we both fly into Bali or straight to Lombok? We don’t want to spend a night before catching a boat to the gili. Many thanks! There are direct flights from both Jakarta and Singapore so you could fly directly into Lombok. However, I don’t know or remember the arrival times at Lombok Airport but I think there are speed boats that also depart at lunchtime or afternoon. I planning to visit gili islands, nusa lembongan and bali for 9days. Is it possible to land by LOP to lombak and travel to gili then to nusa lembongan and by fast boat to bali. Or is it better if i just go by DPS to bali. Which is cheaper and faster? Of the past 1.5 year I’ve spent 3.5 months in Lombok. I really love it there. Thanks for this post and sharing with me new things I still have to discover. I am planning to come to Bali in June, 4 nights in seminyak and 3 nights in ubud. Where is the best to go from to lombok and gili from for a day trip- seminyak or ubud? And do you think it is worth staying a night there in lombok/gili. If I potentially just have a day there what is a must see? Are there a lot of vegan friendly places there? Thanks for your comment. The best way to go for a one-day trip is via speed boat in the early morning. In my opinion it’s not enough time to see the highlights of Lombok but you could at least rent a scooter in Senggigi and drive along the picturesque west coast of Lombok up north and then come back, passing the Monkey Forest, go further east to some of the waterfalls mentioned in this post or visit some of the Balinese temples. To be honest, I don’t know much about vegan places. I know Coco Beach (north of Senggigi so you could combine it with a scooter tour) has some vegan dishes and they organically grow their own veggies. I loved the food there! By the way: If you don’t wanna drive a scooter, just hire a driver for a day. I would like to check how much the cost by taxi from Lombok airport to Qunci villas hotel? This is my 1st time travel to Lombok, kindly advise me some good food and attractions please. I don’t remember the exact prices to be honest. But it should be around 250.00-300.000 Rupiah I guess, as Qunci is a little bit further than Senggigi. Attractions and sights you can find in our Lombok category. I got other beautiful destinations in Lombok for your references. Located in south-west named Sekotong. I bet you have heard this one. It has stunning gilis as well as in the north side. 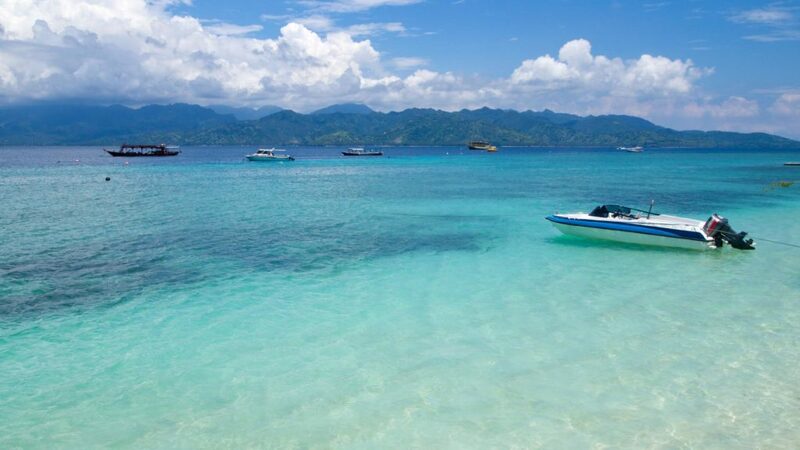 Numerous beautiful small islands on turquoise sea and the it is known as GITANADA, which is abbreviated from Gili Tangkong, Gili Nanggu and Gili Sudak. Keep up the good work! I’ll see you in Lombok someday! Thanks for your comment. I already have been to Sekotong many times. 🙂 Kindly read here. Hello Marcel ! 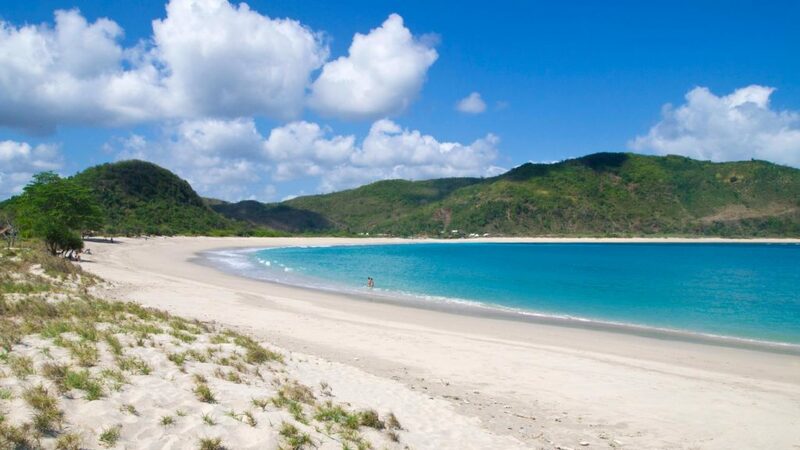 Can you please recommend the best beaches in Lombok with best snorkeling spots? Are there daily trips for snorkeling? Thank you. Not sure about the Lombok “mainland”, but I think the best snorkeling spots are off the Gili Islands around Lombok, like: East Gilis (Gili Kondo etc. ), Sekotong Gilis (Gili Nanggu etc.) and also the famous 3 Gilis. Maybe somebody else knows a good snorkeling spot on Lombok? Please comment – I didn’t do much snorkeling there to the honest. Thank you for taking the time to write this for others to benefit from. Some quiet areas would be north of Senggigi. Near the Sire peninsula there are a couple of beautiful upper class hotels that surely have a pool/villas with private pool. Beaches are close by and the area is still very undeveloped compared to Senggigi. Another quiet spot on Lombok is Sekotong. There are still very few tourists and it’s very beautiful there. Also you can find some good hotels (for example Cocotinos), however there’s not a big choice. The highlight are the nearby islands like Gili Nanggu etc. that you can visit. I hope this is a little bit helpful for you. If you have questions about specific areas of Lombok, feel free to ask or visit our Lombok articles. I’ve been keeping my eye on this resort called SVARGA, http://www.svargaresort.com/en/ have you any knowledge on it? Is it considered the north of Senggigi? I just don’t want to be in some kind of central hub of tourists during my stay there and no loud beach parties near by. It is really a great article about Lombok ? I live in Indonesia, I give my up vote for yours. But do you have article about exotic waterfall in lombok? like benang kelambu and others? Thanks for reviewing lombok island.. I think one day lombok will more famous than bali itself.. the place is more beautiful day to day..
Hi Marcel, I’m planning to travel to Lombok with 3D3N on the Gilis & 3D2N on the main Lombok. Between the 3 Gilis, I.e. T, Meno & Air, which one would you suggest? 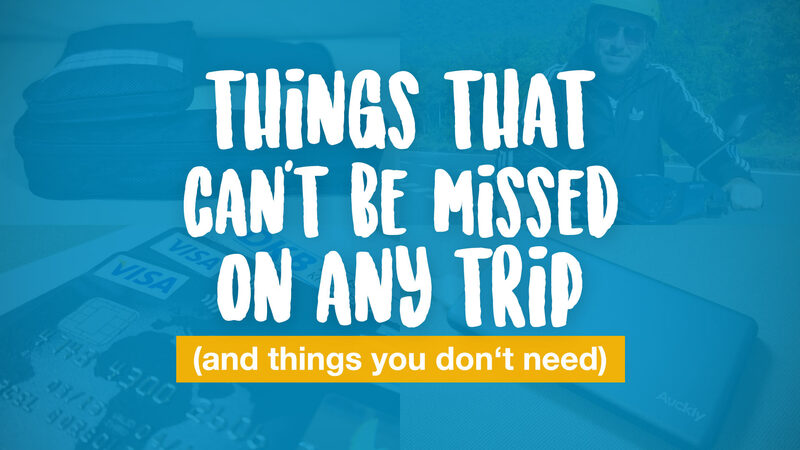 It’s hard to suggest any of these 3 Gilis because it’s always depending on what you want to do and what you prefer. Do you wanna enjoy calm beaches with your partner or do you wanna go out in the night? My personal favorite Gili Island is Gili Meno as it’s still not too crowded comparing to Gili Trawangan. Thanks for this post, Marcel! I am planning to travel to Lombok in January and have a question regarding the wet season. Is the weather mostly cloudy or would I catch some sunshine during the day as well? Kindly check this article about What is the best time to visit Bali & Lombok? Hi marcel, me n one of my friend are going to lombok on 26dec till 3rd of Jan. Will spend 3d2n in gili t, 1 night in meno and the rest in lombok. I’m not worry when I’m in gili t as they are tourist friendly but when it comes to lombok I’m kinda worry . Yeah. Probably a bit. We would like to rent a scooter and to round island in 6 days 5 night. Is that possible? 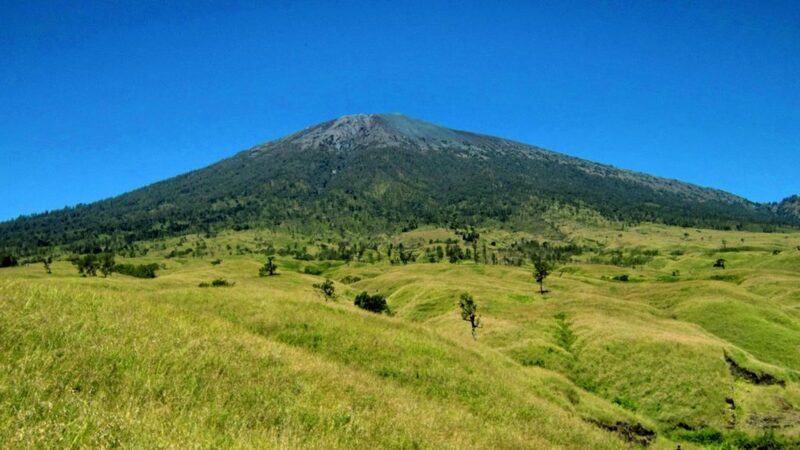 As I would love to explore the northern and southern side of lombok. And all the beaches and waterfall. As I saw a lot of articles said that the route in lombok is quite underdevelop. And some of the waterfall locate deep inside. I would like to know is it possible to round is land by a scooter and can we ask around if we are lost? And is the direction listed on signboard or have to depends on mobile map instead. Hope to heard from you. Much appreciated?? Yes you can rent a scooter and go around almost everywhere on the island. Don’t worry about getting lost, you can just buy a SIM card before and use Google Maps while driving around. Even most waterfalls you can find on Google Maps so just navigate there. Also, many places are signposted so just follow the signs. 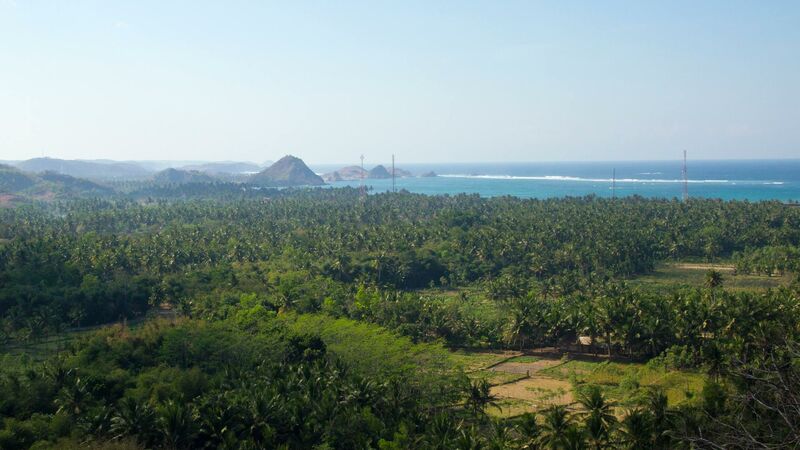 Lombok is not underdeveloped at all, at least the west of Lombok. And IF you get lost (will most probably not happen), just ask some young people as they are more likely to speak English than older people. Hi Marcel! 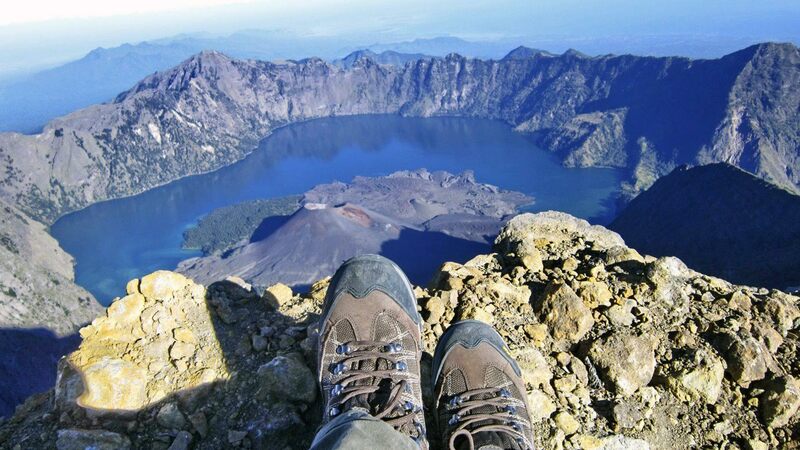 How are you doing… it’s good to read your view about Lombok. I’m thinking to travel with my kids maybe for 3 days and 2 nights. So which places will you recommended to stay and to visit. I’d love to stay in hotel or resort. Oh how is the weather in November and December? Thanks in advance! Apologies for the late reply. Well, you could basically stay anywhere with kids but maybe the west coast would be a better choice for you as there are many nice hotels, resorts and restaurants in Senggigi area. If you want to let your kids swim in the ocean, always watch them as currents might be partially stronger at Senggigi Beach. Regarding the weather, kindly find more information here in our article about best time to visit Bali & Lombok. I am trying to get people to urgently discontinue the abuse of ponies on the Gili Islands. I am currently residing in Gili Air. The daily abuse these ponies face is horrendous, and quite frankly an embarrasment to Indonesia as a country and as a people. This abuse has made me decide on never to visit again, and I am urging al my friends, family and business associates to do the same. I don’t even want to go into detail about the abuse, since you can look it up and see for yourself but be well aware of it! These ponies get beaten, tortured, don’t get drinking water, are wounded and serverely dehydrated, and collapse after one or two years (normal lifespan is 25!!!) I got the feeling no one cares so I am trying to raise awareness this way. I will do everything in my power to make sure that there will be no people that I know who will visit these islands, and I hope many will follow my lead until this abuse stops! Thanks for your comment. It is a very sad thing and people should indeed be aware of this. More information about this can be found here. i love to go there its really ideal place for holidays with family .This is a great opportunity to look into the lives of the local people and admire their diverse lifestyles.